The emergence in the 1950s and blossoming in the early sixties of Stanley Kubrick as one of the world's greatest directors paved the way for a new generation of talented British directors, including Tony Richardson, Bryan Forbes, Richard Lester, Jack Clayton and Ken Russell. The most talented and longest enduring of this "British new wave," and a giant rivaling Kubrick in stature, is the great John Boorman. Boorman made his first splash with his second film, 1967's stylistic film noir, Point Blank. Critics and audiences responded to Boorman's use of both experimental avant garde and traditional film noir elements to create a dream-like atmosphere. After a couple of unexceptional follow ups, he co-produced and directed what remains his most famous film, 1972's Deliverance. After the huge commercial and critical success of Deliverance, Boorman created a widening range of films, including the 1973 science fiction epic Zardoz, 1981's Excalibur, a bloody retelling of the King Arthur legend, and 1985's The Emerald Forest, which revisited many of the themes he explored in Deliverance regarding modern man's relationship to nature and wilderness. All of these films were intensely personal projects, and besides directing, saw Boorman take larger roles in the films' production and screen writing. But the most personal, and in my opinion the best, of Boorman's films is his 1987 reflection on growing up during the bombing of London in World War II, Hope and Glory. A true masterpiece, I'd put Hope and Glory near the top of all films made in the '80s, and it deserves serious study by anyone interested in creating art out of personal experience. Hope and Glory shows the bombings through the eyes of a child. It's perhaps the best depiction of childhood ever put on screen. It's more honest and less sentimentalized than the wide-eyed innocence of children in Steven Spielberg films, and unlike other films, the kids are kids and not miniature adults. The story is told through the point of view of the main character, Billy Rowan (played perfectly by Sebastian Rice-Owens), ten years old and obviously a depiction of Boorman as a child. We meet the Rowans before the bombing begins, and they are a typical dull, middle class English family. The news is filled with story after story about the impending war, and there are countless air raid drills and the construction of bomb shelters; but for a long time, nothing happens, and the Rowans and their neighbors get tired of the drills and the rumors and grow impatient for the war to begin. Billy's father, Clive (David Hayman), who fought in World War I, enlists in the army, leaving his wife--and Billy's mother--Grace (in a great performance by Sarah Miles) to look after the family alone. Then the bombing begins and it's terrifying. But to Billy, it's also exhilarating. He goes on daily scavenger hunts through the rubble, collecting shrapnel. The blown apart neighborhood is a source of great exploration and adventure, and soon Billy joins up with a "gang" of boys who explore and play games in the ruins. Meanwhile, his fifteen year old sister Dawn (played by Sammi Davis) is blossoming, and in the shadows of the bombing is growing up much faster than either her or her mother are ready for. They have terrible fights as Dawn sneaks out of the house to go to dances with soldiers, eventually falling for and becoming pregnant by a Canadian infantryman. Privacy becomes the first casualty of the war, as the constant interruptions of air raids and the cramped quarters of bomb shelters leaves little opportunity or space for secrets. One of the reasons the film works so well is the characters are all so well developed. Boorman skillfully weaves enough background information about each character into the story without impacting the narrative that we feel like we've known these people forever. We see how living through such a traumatic time changes each of them. We learn that Grace and Clive's best friend, Mac, were romantically linked before Grace married Clive, and still have feelings for each other, but in the best keep-a-stiff-upper-lip British tradition, they don't act on these feelings. Grace keeps the family together, and while she is undeniably heroic, Boorman and Miles never lose sight of the fact that she is human and vulnerable. 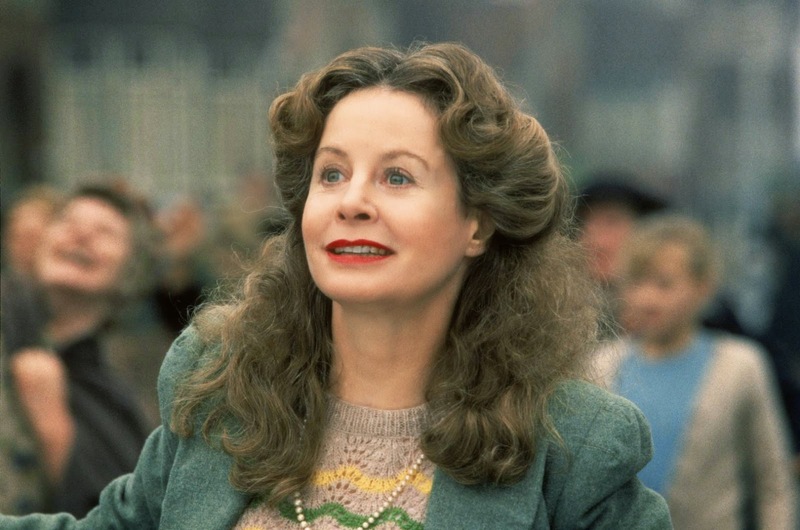 Grace compares favorably to that other "mother during the blitz" cinematic icon, Greer Garson as Mrs. Miniver. About three quarters of the way through the film, after their home has burned down, the setting changes, to the idyllic country home on the Thames river of Grace's parents. Here Billy completes his summer vacation, and spends a great deal of time with his cantankerous grandfather (Ian Bannen). He adapts quickly to his new environment, fishing, boating and playing cricket with his grandfather. A bond forms between them, and the grandfather cannot conceal his disappointment when he is forced to drive Billy back to school at the end of the summer. Without revealing what happens, the film then ends on a perfect note, one of my favorite endings ever. By the time the film ends, the family has grown closer together. Boorman shows how the trauma of war shakes the family out of its complacency and stretches it to its breaking point, and how in the face of death and uncertainty they turn to each other and strengthen the bonds that tie them to one another. 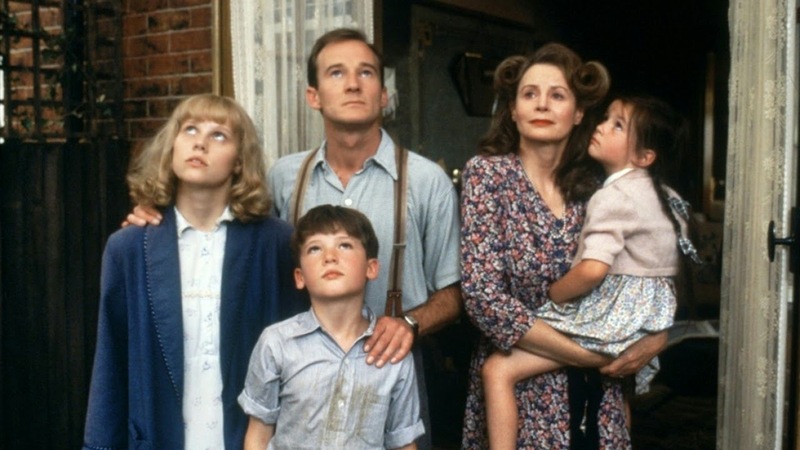 It's the best film I can think of about life during wartime, and it's the most triumphant film I can think of about the strength and unity of family, warts and all. Take a glance at Boorman's filmography, and one thing you don't see is comedy. There aren't many laughs in Deliverance or Excalibur, and the bombing of London would seem an unlikely setting for humor. Yet there are many instances in Hope and Glory that you can't help but smile, if not laugh out loud at. There is a charm that runs through the entire film, even as Boorman explores darker elements. The affection Boorman feels for his characters and the fondness he has for the time and setting are contagious. 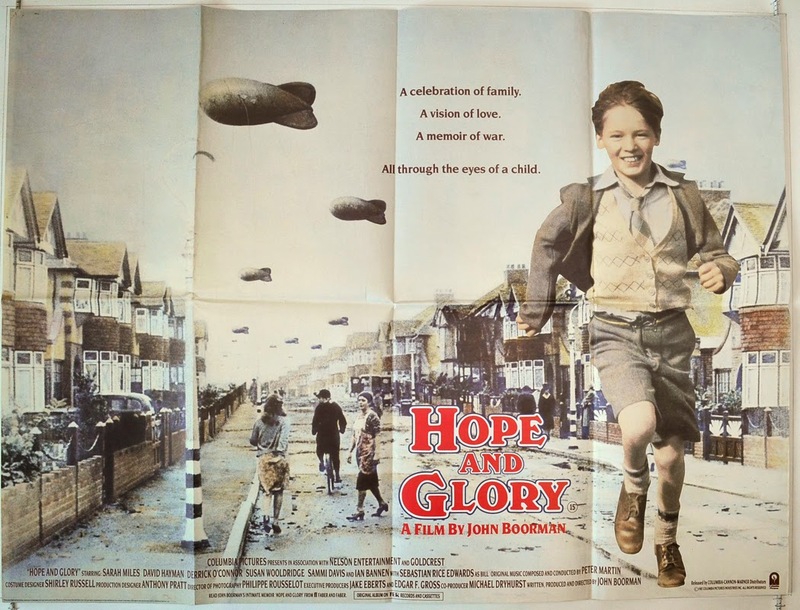 Hope and Glory is a work of love, and Boorman's gift is his ability to make us feel and understand his love. A couple of weeks ago, Boorman's long awaited sequel to Hope and Glory, the film Queen and Country, made its premiere at the Cannes film festival. In Queen and Country, Billy is now twenty years old, and the film takes place during the Korean war. I'm eager to see it, recognizing that Boorman has a tough act to follow - his own.